All of our engineers are highly trained and we are committed to providing a high quality and safe solution for your business at all times. RLBS Building Facilities Limited offer the solution whether it is a routine service call, emergency breakdown, programmed maintenance or installation of new equipment. 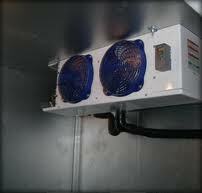 • Air conditioning repair and service. • Free site surveys with regards to sales, projects and contracts. Having your air con working safely and efficiently is important to any business. We arehere 24hours a day, 365 days a year. Our coverage spreads across a wide area, from Exeter to Penzance, Barnstaple to Newquay and the surrounding areas, we are able to provide the highest standard of servicing and delivery. 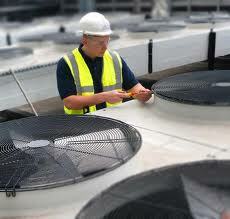 We provide a full air conditioning service from installation, breakdown repairs, servicing and maintenance. 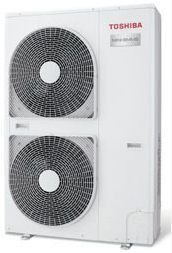 We cater for all leading manufacturers of Air conditioning and Heat pumps. We currently install Air conditioning units from all leading manufacturers including, Daikin, Mitsubishi, LG, Toshiba, Panasonic, Hitachi and Fujitsu. We offer companies a full design, supply, installation and commissioning service for split type AC, VRV, VRF multi systems, ductwork, pipework, Humidification and all associated services serving offices and comms rooms. We can also provide specialist commissioning, trouble shooting and investigative services. We only specify the best air conditioning systems to suit the application required. All the air conditioning systems specified by our company would be inverter driven which would give our clients the latest technology at the same time offering the most environmental friendly equipment available on the market today. These systems offer precise temperature control creating the climate in which you feel most comfortable. At the right temperature not only does it create comfort, it makes you feel fresh and active even in the most extreme outside conditions. Toshiba VRF technology, installed by RLBS. TOSHIBA offers the best solution for large commercial and industrial buildings: including hotels, hospitals, leisure and shopping centers. The dual inverter compressor guarantees high efficiency levels, operating flexibility and reduced maintenance requirements. The wide range of indoor units makes VRF systems the most flexible choice to satisfy any kind of requirement.VRF delivers maximum power and energy savings With the new generation of Variable Refrigerant Flow units, MiNi-SMMS, SMMS cooling only and heat pump and SHRM heat recovery ranges, Toshiba sets new technological standards, incorporating DC twinrotary compressors in all outdoor units, compatible with the high density refrigerant R-410A. Thanks to the use of these dual-compressor systems, the system operation load is distributed more evenly, with a special controller regulating the operating sequence of outdoor units and individual compressors. This innovative technology also allows optimisation and balancing of the operating time for each component, considerably enhancing the reliability of the complete system. When the system is in operation, the latest Toshiba control systems select the heat exchanger and compressor to supply the required capacity in the most efficient way. This operating method continuously optimizes the power input compared with a traditional on/off system and can reduce it by up to 30%. With RLBS and Toshiba you get the best of both worlds highly efficient, reliable and stylish equipment combined with quality installation and after care from RLBS. As with all the suppliers RLBS choose to work with, Daikin are recognised as experts in their field. 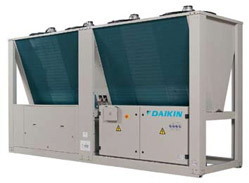 With over 70 years of precision and innovation Daikin have built a worldwide reputation for quality and technology. RLBS are experienced Daikin engineers this means all our installers are fully trained and have access to all the tools and knowledge needed to carryout the most up-to-date products applications and can provide advice and expertise to ensure customers get the right product and service for their situation. With RLBS and Daikin you get the best of both worlds highly efficient, reliable and stylish equipment combined with quality installation and after care from RLBS. 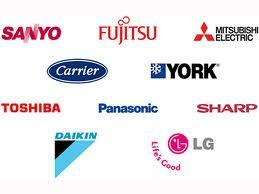 LG are one of the fastest growing and innovative suppliers of air conditioning and heat pumps in the world. Their environmental philosophy fits well with the RLBS air conditioning policy of delivering energy efficient products across their range which includes electric VRF, innovative gas driven VRF and room air conditioning systems. With RLBS and LG you get the best of both worlds highly efficient, reliable and stylish equipment combined with quality installation and after care from RLBS. 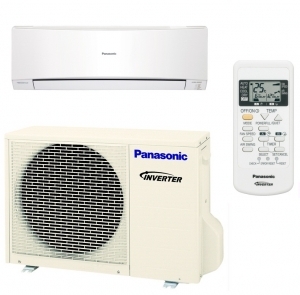 Panasonic Air Conditioning provides solutions for all your Air Conditioning needs by producing product and services to offer comfortable living and working conditions. 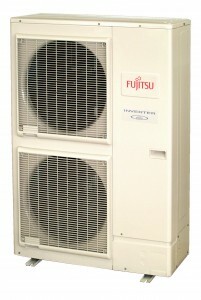 RLBS offer total solutions through Panasonic quality Air Conditioning systems developed with control technology. Maintaining harmony with the global environment is one of the most important topics for society today. Panasonic uses reliable state of the art technologies to minimise global warming and protect the o-zone layer. With RLBS and Panasonic you get the best of both worlds highly efficient, reliable and stylish equipment combined with quality installation and after care from RLBS. 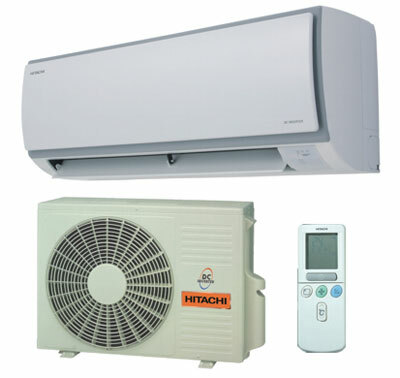 Hitachi’s Air Conditioning Range is one of the most extensive available in the market today. With unit capacities ranging from 2.0kW high wall split systems to the Hitachi screw compressor chillers of over 1000kW. With products and equipment suitable for a variety of applications, from the domestic conservatory to the modern multi-storey office environment, the versatility of the Hitachi range is second to none. With RLBS and Hitachi you get the best of both worlds highly efficient, reliable and stylish equipment combined with quality installation and after care from RLBS. RLBS is proud to work with Mitsubishi Electric, who was founded in 1955 and quickly established itself at the forefront of the industry. 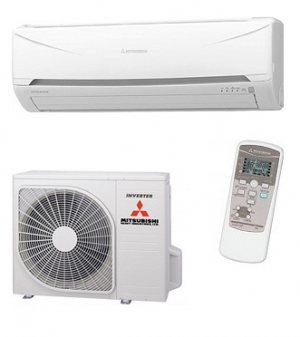 With 50 years experience in developing air conditioning systems, we continue to benefit from the sheer size and diversity of the Mitsubishi group. With building insulation now at its best and electronic equipment galore in our living and working environments, the need for effective heating and cooling is paramount. Our cost-effective, energy conscious systems are expertly designed to provide the consumer with constant, comfortable living and working environments. Mitsubishi Electric and RLBS strive to continually meet the increasing demands of our customers, being the first in the industry to offer highly advanced ‘inverter driven’ systems. Using inverter technology our systems produce just the right amount of output to match the exact requirement of any building. These systems work so efficiently that they don’t waste valuable energy by over-heating or over-cooling, resulting in greatly reduced running costs. Alternative systems that may appear cheaper, can often cost substantially more to run, making us the most cost effective choice all round. As scientific evidence points to man-made chemicals for the damage caused to the ozone layer, we only use chlorine-free refrigerants that are safe and have ‘zero ozone depletion potential’. Accordingly, as our systems require less energy to run, they have significantly lower indirect global warming potential too. In short, our constant investment and produce development enables us to provide the most efficient equipment possible, whilst protecting the environment at the same time. With RLBS and Mitsubishi you get the best of both worlds highly efficient, reliable and stylish equipment combined with quality installation and after care from RLBS. RLBS installing throughout the Southwest Fujitsu air conditioning that can make a big difference to your environment: getting the best out of the working day and enjoying to the full your home environment. And Fujitsu offers more choice than ever with floor standing, wall, ceiling or window-mounted, ceiling cassette, or discreet ducted split air conditioning systems that neatly fit in a ceiling or wall void. Engineering is at its highest level of reliability, on-board computer technology has enhanced performance output, and Fujitsu General leads the way in finished product design. In the workplace, air conditioning is no longer considered a luxury. Instead employers can see the real benefits of maintaining a comfortable working environment through increased production. Research has shown that as the office or factory temperature rises, so staff performance falls. 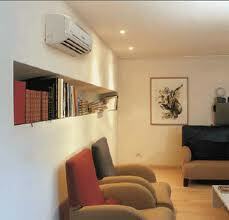 And many more homeowners now consider air conditioning as important as their home heating system. Which, when you think about it, makes sense. 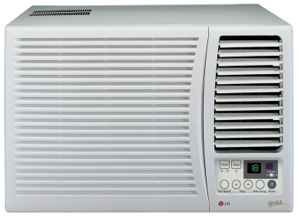 Split air conditioning systems are particularly beneficial as the condenser (housing the motor, etc) is installed outside the building, ensuring quiet operation inside. A remotely wired or hand-held controller provides flexible operation relating to time programmes, room temperatures and more. Add heat pump technology and your split air conditioner can now supply heating as well as cooling to the room, often providing an economical alternative to central heating systems. With RLBS and Fujitsu you get the best of both worlds highly efficient, reliable and stylish equipment combined with quality installation and after care from RLBS. There has never been a better time for businesses in Devon and Cornwall to invest in the latest air conditioning technology due to the Governments climate change programme. The Enhanced Capital Allowance (ECA) scheme allows South-West businesses claim the full cost of an RLBS air conditioning technology installation (equipment & installation) to be written off against taxable profits of the period in which the investment is made. We can service your Air Conditioning System on a one off basis or provide you with a yearly plan to minimise the possibility of a breakdown. All makes and models of equipment are catered. During a routine service RLBS will inspect other areas of the plant room often neglected such as motorised valves, pumps, pipe work, ventilation, tanks, pressurisation systems and will advise you of any remedial works necessary. We can provide a one off breakdown repair service where we would come in and rectify any faults found with equipment and ensure it is in full working order. Also providing technical advise in moving forward.